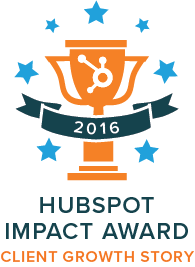 Update: This client success story has been awarded by HubSpot with the Impact Award for Best Client Growth Story as well as an honorable mention in the Growth-Driven Design Category! We are so thrilled about receiving the reward! A lot of companies struggle to make their website contribute more to their bottom line. Ideally, your website is your company's best business development tool working tirelessly around the clock to generate warm leads for marketing to nurture before turning them over to sales to close. 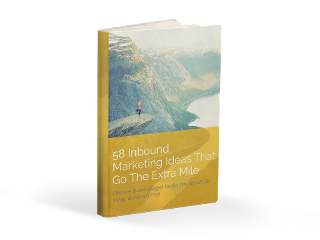 Inbound Marketing can do that. Inbound Marketing, when done right, can bring more traffic to the site through blogging, social media, etc., then turn those visitors into leads by offering helpful, relevant, and timely content, and finally nurture and close them into customers. 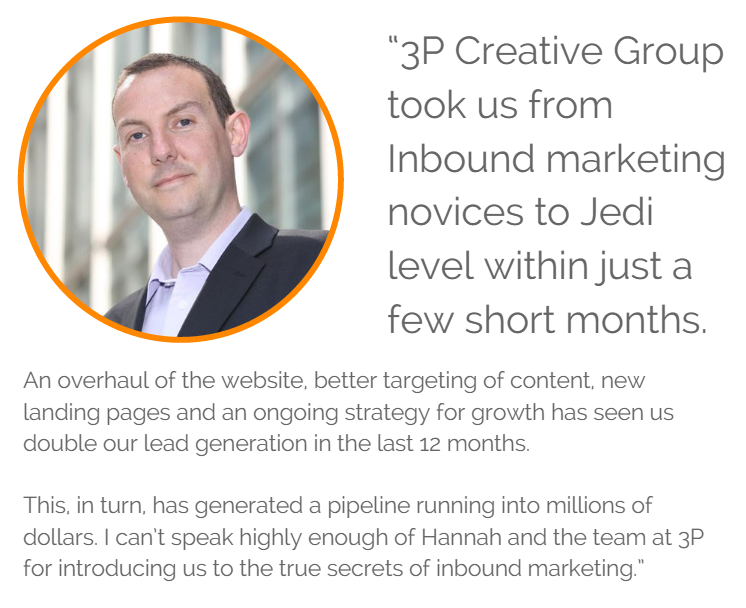 Today we are very excited to share with you an incredible story of inbound marketing success. Increase their website traffic by 44% (or 130% compared to the same period last year). Increase their number of quality leads by 90%. However, even more importantly, their pipeline is now filled with well-qualified leads and potential deals worth 13 times more than compared to last year. 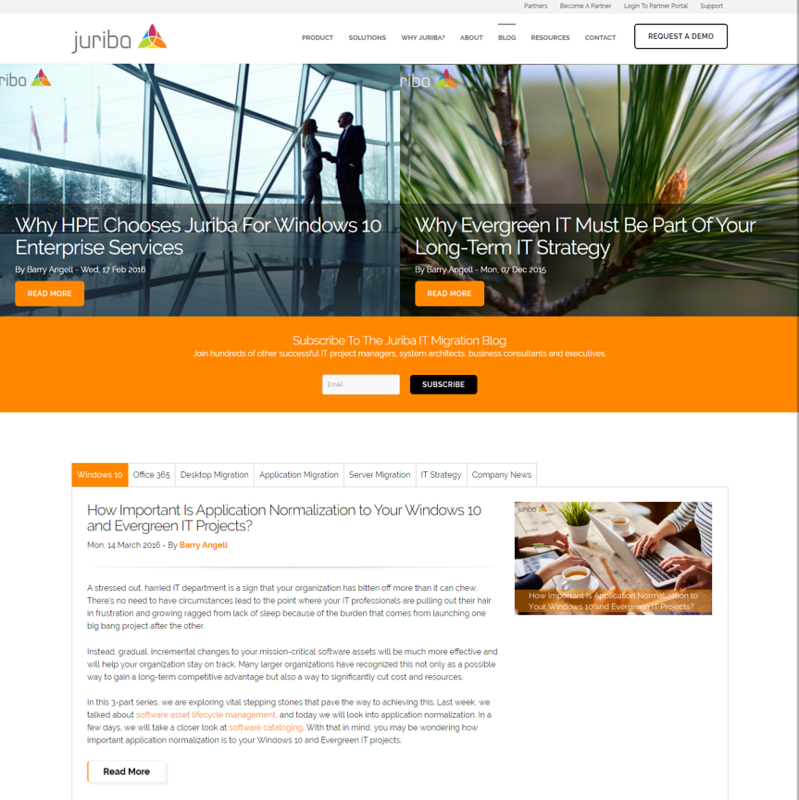 Juriba is a UK-based software company that enables enterprises and large organizations to manage their IT transformation projects up to 60% more efficiently. 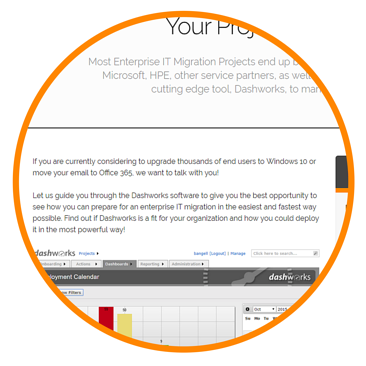 IT project managers and asset managers who traditionally used spreadsheets and hand-cranked databases to migrate thousands of end users to a new operating system or email server, can now get a clear understanding of what their hardware estate and application landscape looks like and effectively plan, build, and deploy a migration project by using Juriba's enterprise IT project management tool, Dashworks. Juriba's CTO, Barry Angell, reached out to 3P Creative Group to build a new website using Growth-Driven Design and boost their already existing inbound marketing efforts. The company sells mainly to larger organizations with projects scoped out for more than 5,000 seats. Juriba had created a couple of excellent resources that were meant to attract enterprise customers. 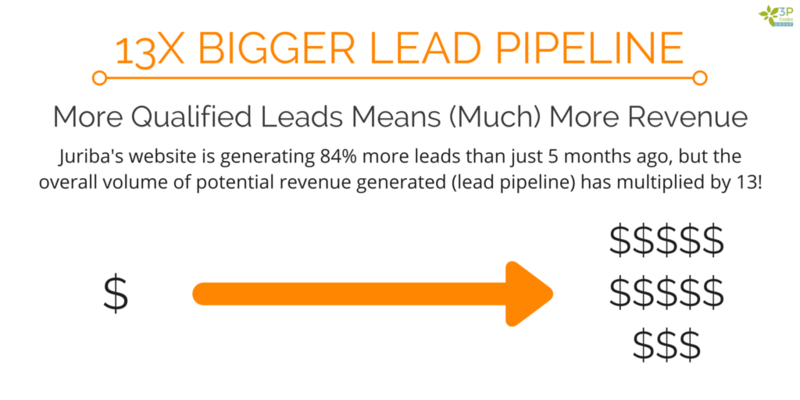 However, these were hard to find, and the majority of leads it attracted were companies too small to use Dashworks. This clogged up their pipeline and wasted their salespeople's time talking to and sorting out these leads. They got 90-150 leads a month, but only a handful were qualified. Their first month doing inbound marketing with us on HubSpot, they got a lot fewer prospects (50), but almost all of them were high-quality leads! 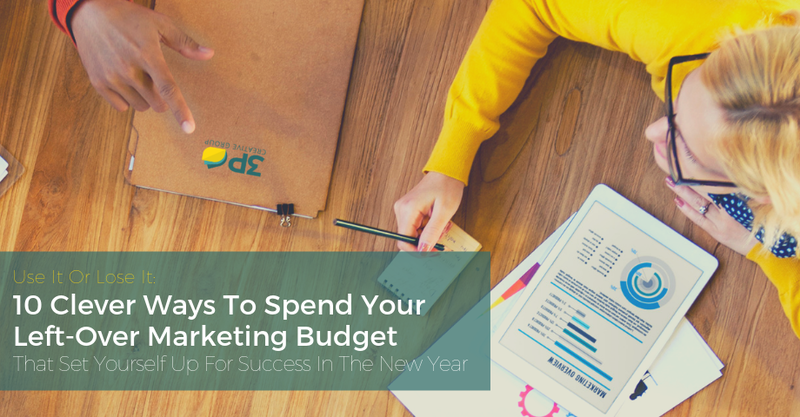 Inbound Marketing success doesn't usually happen as an accident — it needs careful planning using a holistic, strategic approach. Here at 3P Creative Group, we take the first month of our engagement with a client to really dig into their company. We want to accurately define their buyer personas and get as detailed as possible. Combine that with keyword research, an SEO health check, and a website and content audit and you can paint a pretty good picture of where the problems are and map out ways on how to tackle them. This way, we are much more effective down the road. As a result of that, we hammered out the buyer personas with them, created the inbound strategy, and moved all their lead generation assets onto the HubSpot platform from their old marketing automation tool. In the following two months, we built their new website improving the quality of the content, the structure and usability of the entire website and single pages - which was a huge success to making the company more enterprise ready. After the website had been launched, we kicked into the monthly inbound marketing execution including blogging, social media management, creation and design of premium content offers, lead generation activities such as crafting conversion paths, workflows, and smart lists. To attract more visitors to the website, we spent a significant amount of time, love and energy to craft enterprise-ready copy on website and landing pages, write blog posts, infographics and even a Windows 10 readiness assessment quiz that is about to be published and we increased the company's reach on social media through daily posting of relevant content. But for the sake of this blog post, let's focus on the blog. The company had been blogging on and off since 2009, building a significant repository of articles. However, most of them were not fully optimized for the reader, buyer persona, or search engines, and did not offer an opportunity for interested leads to convert. Often, they talked about the company, the product, or a partnership announcement. It was less helpful to prospects who were in the earlier stages of the buyer's journey. To start off with, we significantly improved the blog design, adding two featured blog posts to the top and tabbed views to be able to skim through categories by topics faster. The new blog listing page also includes a prominently featured call-to-action to sign up for the blog notifications. We enhanced the quality of the blog: interlinking, on-page SEO, and other improvements to make the blog more attractive for visitors — human and robots. Because of the new layout and the improvements we made to the old posts and every blog post going forward, we increased the searchability of the blog as well as giving prospects the ability to convert better on blog posts! We started off creating eight shorter blog posts a month, but found that in-depth blog posts perform better as the audience really appreciates insightful articles. Since we have begun blogging, we covered a variety of topics and it has been incredible to work with Barry! And the best part for us (other than out client's success) is we get to write on some major IT topics that will prove disruptive to the industry, which is very exciting. Since Juriba's sweet spot for their enterprise IT project management tool is projects larger than 5,000 seats (which can be computers, mailboxes, users), the website copy and all marketing assets needed to reflect that. After bringing over all already existing landing pages, workflows and premium content pieces from the previously used marketing automation tool, we used the HubSpot Landing Page Tool to create beautiful landing and thank you pages that include a precise, buyer-persona specific copy as well as enticing titles, prominent call to action buttons and relevant images to increase conversion rate. 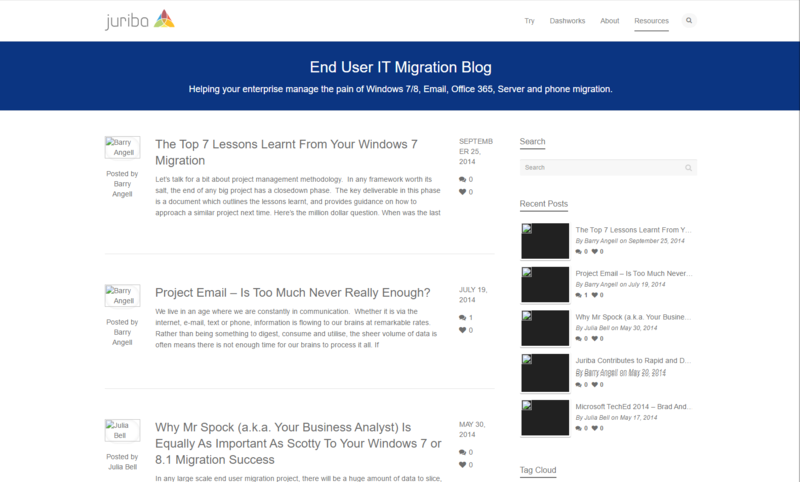 To improve the lead quality, we made sure to use words like "Enterprise IT Migration" and "thousands of end users". 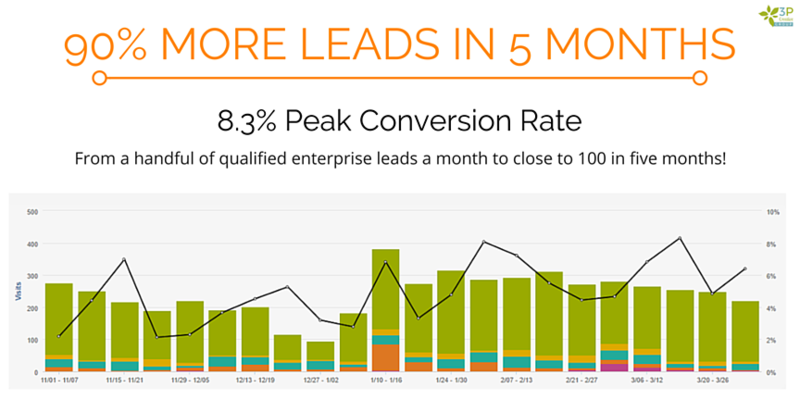 In addition to higher conversion rates, we now are able to collect more information about the leads that flows right through to the HubSpot CRM for the sales team to use. After polishing the existing campaigns, we created new offers that target enterprise buyers across all stages of the buyer's cycle in different formats, for example in form of an eBook, whitepaper, tool kit, and soon a buyer's guide. In order to get the best conversions from our new found audience, we know we had to establish strong automated marketing campaigns to nurture these leads. Growing at such a rapid pace with strong, defined leads meant we had to not only qualify these new prospects in terms of future project plans, but stay in touch with and guide them in the most appropriate way. By creating in-depth workflows based on intent to migrate, project time tables, and the size of the company, we were not only able to further qualify new prospects but nurture them in a way that not only educated them about our product but fostered confidence in their buying decisions. So what were the results of our efforts? Customized lead nurturing workflow that segments by plans to migrate within a particular period or project size. 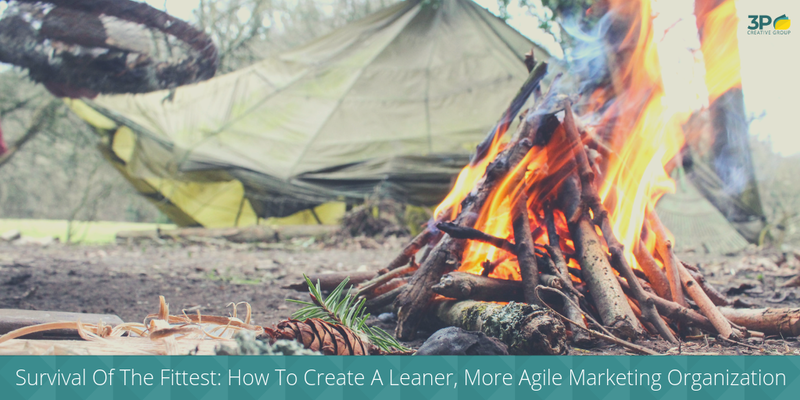 Behavior-based workflows — a lead that takes a more engaging action, is moved through the workflow at a quicker pace to get to the end result of having a demo. While the increased traffic and influx of leads has certainly been a positive thing, these numbers only matter if there are good, quality leads being captured. 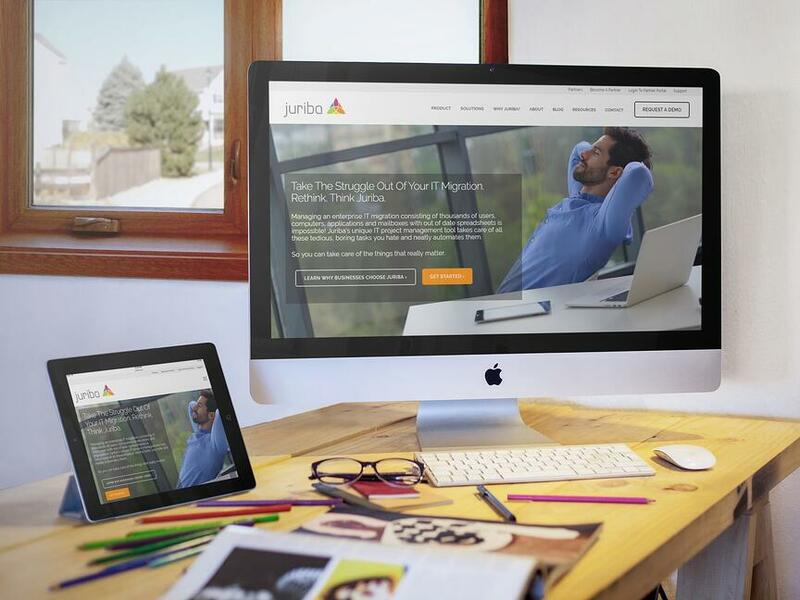 During our initial talks with Juriba, their ultimate business goal was to double their revenue within the first 12 months. Considering the lengthy sales cycles that often comes along with enterprise software companies, this was a significant objective to reach. Just five short months into our working relationship we couldn’t be happier to see the return on investment already beginning to show. In the coming 6-12 months, we expect even bigger things from this particular client, and for good reason. Not only is their sales funnel filled with qualified leads at varying stages in their buyer’s journey, but the amount of potential revenue that has been qualified by their sales team is a staggering 13x larger than only 1 short year ago. We are thrilled to have been part of this journey with Juriba so far and we are very excited to see where we can go from here! The sky is the limit. Above, I described the results we have achieved in the first five months only. Now that we are nearing the first anniversary of launching the website, I wanted to take a few minutes and update you on the progress in the past 12 months. As you can see below, we have had a tremendous year! 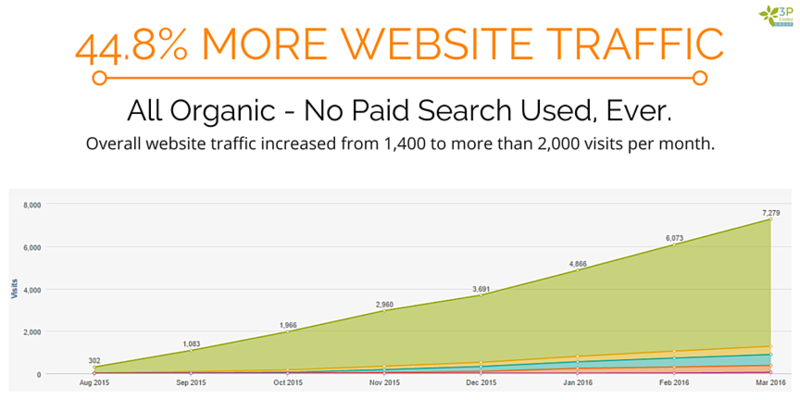 Not only were we able to increase the organic website traffic by 154%, but the average conversion rate for the biggest traffic source is astounding 4.7%! Over the past six months, we have monitored very closely which format and topics out-performed all others not only by views but also by conversion rates. We switched to long-form blog posts (1,000-2,500 words) and found that they often have a CTA click rate of 10-20%! There also has been significant improvement in terms of lead generation. In the past 12 months, we have generated 883 leads, mostly enterprise size. In addition to launching monthly campaigns (e.g., the Dashworks Buyer's Guide), we also just updated all Thank You Pages to leverage the power of contextual marketing. Now, Marketing Qualified Leads will see more tailored infomation and the offer for a personalized consultation, while first time leads who have not visited the product pages yet, will see more information about the products as well as a short explainer video. Heatmaps confirmed that visitors love the new layout and the number of leads who also look at product pages as a result of that was 3% more than before the update. Over the past 6 months, we have not only created a partner portal to enable to just launched partner program, but also focused on solution and product pages. There is so much more to share, but I want to leave it at that and take a minute to look ahead. A few weeks ago, I sat down with my client to discuss our long-term goals. One of the biggest goals, besides continuing our successful inbound marketing program, is to implement a sales enablement program. Now that the sales team is starting to get overwhelmed with the number of qualified leads they are receiving, Barry has asked us to help to enable their team to be more efficient and effective. Since they have been using the HubSpot CRM, we will establish a formal Sales & Marketing Agreement, create a sales document library as well as sales follow-up email templates and sequences. Once the sales team becomes more scalable, we will invest more into Growth-Driven Design in January 2017 — building out the company website's value proposition, stickiness and much more. I could not be more excited to roll-up my sleeves and dig in! If you are considering to invest in inbound marketing and want to find out what we can do for your business, click below to schedule an Inbound Marketing Assessment!